Oil prices firmed up just a bit on the very aggressive comments from OPEC’s top official, although the bull run from September does not appear to be set to return. - The average U.S. household is expected to spend $1,977, or about 2.4 percent of mean income, on gasoline this year, according to the EIA. - Gasoline expenditures are at a near-decade low, but may have bottomed out, and could actually see a slight uptick in 2017. - Low gasoline prices have led to a jump in consumption, offsetting the gains to households. - Chevron (NYSE: CVX) and Total (NYSE: TOT) have reportedly expressed interest in working on the Majnoon oil field in Iraq, according to the country’s oil minister. The field is expected to have 38 billion barrels of oil in place, and Shell (NYSE: RDS.A) is expected to exit the venture. - Valero (NYSE: VLO) said that it was near full operation at its Port Arthur, TX refinery, after the facility suffered from a fire in mid-September. - After suffering huge losses this year, frac sand producers U.S. Silica (NYSE: SLCA) and Fairmount Santrol (NYSE: FMSA) received a ratings upgrade by KeyBanc, which sees compelling valuation at these entry points. KeyBanc initiated “Overweight” ratings for both sand producers. Hurricane Nate fizzles. The latest hurricane to hit the U.S. forced an estimated 93 percent of the Gulf of Mexico’s offshore oil production to go offline. The preemptive moves by the industry led to evacuations and shut ins, but the hurricane ended up being much milder than expected. There was no significant damage to the energy industry to report, and supplies should come back online relatively quickly. The Gulf’s oil and gas production “should fully recover by the end of the week, if not sooner,” Andy Lipow, president of Lipow Oil Associates in Houston, told Bloomberg. OPEC may need to take “extraordinary” measures. OPEC’s Secretary-General hinted at much more aggressive action, telling reporters that the cartel might need to take “extraordinary measures” to rebalance the market. However, he also stated that there has been tangible progress, citing falling inventories. OPEC calls on U.S. shale to cap production. While OPEC’s Secretary-General Mohammad Barkindo hinted at “extraordinary measures,” he also urged U.S. shale to limit its production. “We urge our friends in the shale basins of North America to take this shared responsibility with all seriousness it deserves, as one of the key lessons learnt from the current unique supply-driven cycle,” said Barkindo. The plea is almost certainly going to fall on deaf ears. Saudi Arabia to slash exports, but gap filled by Iraq and Iran. Saudi Aramco said it would take “unprecedented” action to lower exports in November, cutting allocations to customers by 560,000 bpd, the largest reduction ever. The move is intended to accelerate the rebalancing in the oil market, but as Bloomberg reports, the void leftover is being partially filled by rival OPEC members. Iraq and Iran ratcheted up exports in September, winning market share in China and the U.S. Iraq’s oil sales hit nearly 4 mb/d, the most in nearly a year, while Saudi Arabia’s dropped to 6.68 mb/d, the second-lowest for 2017. The dynamic illustrates the difficulty OPEC has in keeping all members on board with the coordinated cuts without trying to undermine the deal or each other. Shale industry told to shape up. More and more investors are pressuring shale drillers to focus on profitability rather than growth. After years of generosity, major financiers of the shale boom are clamoring to see bigger returns on their investments. “Investors are no longer rewarding ‘growth at any cost’,” Martijn Rats and Amy Sergeant of Morgan Stanley wrote in a note. Their colleague, Evan Calio, was more blunt: “E&P (shale growth) model is capital destructive.” A growing number of analysts see the same trend unfolding in the shale patch. “Capital markets have clearly decided what they want. Reduced spending, higher returns and increased cash returns to shareholders,” analysts from Bernstein said. A focus that prioritizes profits over growth could improve finances and boost share prices, but it might also lead to less oil production. The analysts cite the recent decision by Anadarko Petroleum (NYSE: APC) to buy back shares. Trump to undercut Iran nuclear deal. President Trump is set to decertify the Iran nuclear deal, a move that could lead to heightened confrontation between the two countries. The decision will kick the problem to Congress, which may or may not decide to reimpose sanctions. 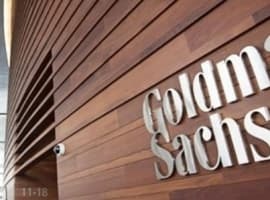 Goldman Sachs estimates that if sanctions are implemented, it could put a few hundred thousand barrels of Iranian oil exports at risk. But the unilateral move by the U.S. won’t be as effective as the first go around, which had much stronger international support. The big question is if the U.S.’ European allies follow suit, but even then, Iran’s oil could head to Asia. Goldman says the impact could be “limited” if the U.S. is unable to cut of Iran’s ability to secure insurance for its shipments. EPA proposes to scrap Clean Power Plan. The U.S. EPA is proposing to throw out the Obama-era Clean Power Plan, a regulatory system that would limit greenhouse gas emissions from power plants. The program was a signature achievement of President Obama, but the EPA under President Trump has tried to bolster the coal industry. Getting rid of environmental regulations on power plants is integral to that goal. But it is not as easy as simply throwing the regulations in the trash; it requires a protracted legal process that leaves openings for states attorneys general and environmental groups to sue. The EPA will have to at least attempt a rewrite of the rule rather than simply repealing the regulation. 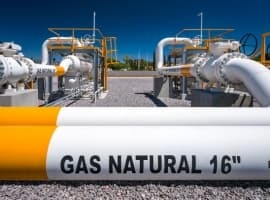 While the Trump administration has proven to be an ally of the energy industry, natural gas producers are warier of the government’s intervention in electricity markets. After all, natural gas was a major winner under Obama’s Clean Power Plan. Anadarko to invest $200 million in Peru. Anadarko Petroleum (NYSE: APC) said that it would invest $200 million to explore offshore Peru. The Andean nation is a negligible oil producer with just 40,000 bpd of output. U.S. warm spell bearish for natural gas. The month of October thus far has seen unusually warm temperatures in the U.S. northeast, delaying the onset of winter natural gas demand. According to PointLogic Energy, homes and businesses have used the least amount of gas for this time of year in at least a decade. The danger is that the glut of gas inventories returns if demand remains tepid, a development that would depress prices.